With a Best Actor Oscar win for “Dallas Buyer’s Club,” and a hit TV series with “True Detective,” it can be said unequivocally that Matthew McConaughey’s millennium career slump is officially over. It was the nineties that made him, and the aughts that tested him. Now in the teens, he comes into his own, this time (hopefully) for good. How well do you know this comeback kid? A) "Angels in the Outfield"
C) "Texas Chainsaw Massacre: The Next Generation"
D) "Boys on the Side"
A) Had only known each for three days when they got married. B) Married each other three times. C) Met at the age of three. 3. 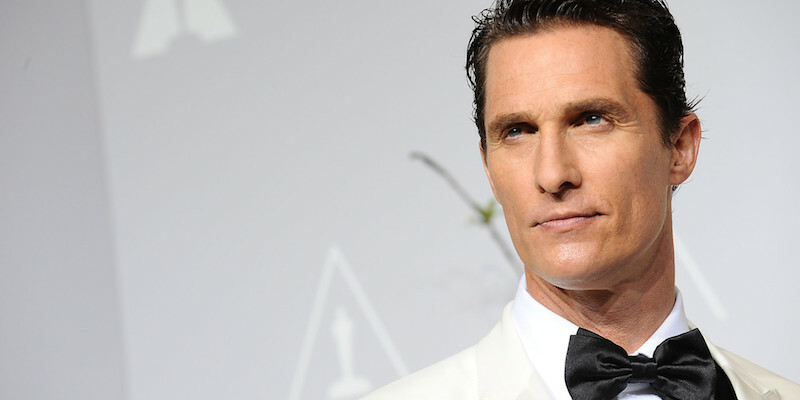 Which of his onscreen professions did McConaughey reject in real life in favor of acting? 4. What vehicle does he take around the country during his down time? 5. What is McConaughey’s comeback called? 6. What delicious food did McConaughey eat in agonizingly small portions as part of his pre-“Dallas Buyer’s Club” diet, on which he lost 40 pounds? 7. Pick out McConaughey’s two catchphrases. 8. 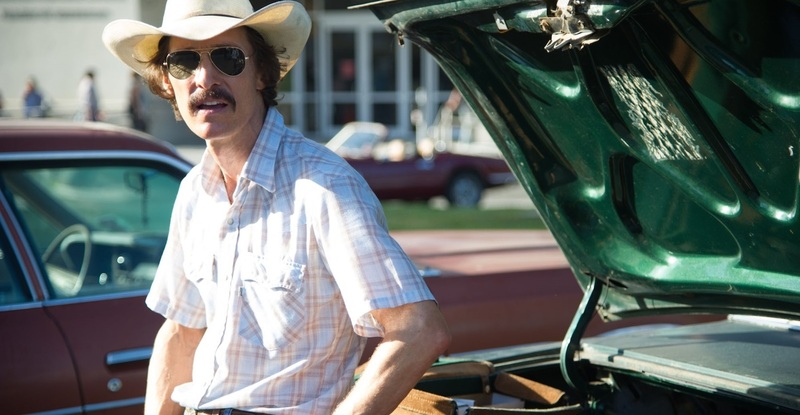 Which sixties rock icon did McConaughey listen to in preparation to shoot his first scene in a feature film? 9. The “chest thump” McConaughey executes in “The Wolf of Wall Street” is what in real life? A) His acting warm up. B) A form of tribal communication he learned while living in Australia as a foreign exchange student. C) The ritual he performs when his favorite football team scores. D) A dog-training trick that he thought would be fun in the scene. 1. B: "Dazed and Confused"
More: How Well Do You Know Jack Nicholson?